I’m not usually one to comment about events in the news. I don’t have cable, listen to the radio, or read the newspaper for a reason. However, given that my undergrad is in history and art history, and I am a fan of Sherlock, I feel as if I am more than equipped to report this story to my edu-ma-cated readers. After all, I do avidly follow Daily Mail. Mostly for the celebrities. And the comments. The comments are hilarious. I think it’s safe to say that almost everyone has heard about Jack the Ripper. Most know that he was never officially identified, though some could argue that he was, in a way, ‘caught’. Many of those people also know the gruesome details of his crimes. 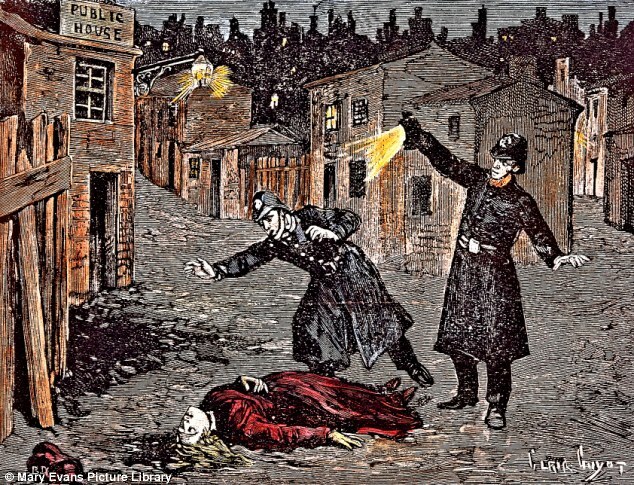 Fewer know that over the last millennium, members of Scotland Yard, as well as other credible individuals, have given certain suspects the title Jack the Ripper. Although there was never any physical proof, they were basing their accusations on other circumstantial evidence. Never any DNA evidence until now, that is. I wonder if the rest of the week will be this eventful?